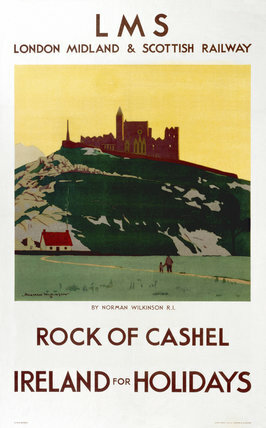 Poster produced for the London, Midland & Scottish Railway (LMS) to promote Ireland as a holiday destination. Artwork by Norman Wilkinson (1878- 1971). Dimensions: 1015mm x 630mm. Printed by John Horn Limited of London and Glasgow.